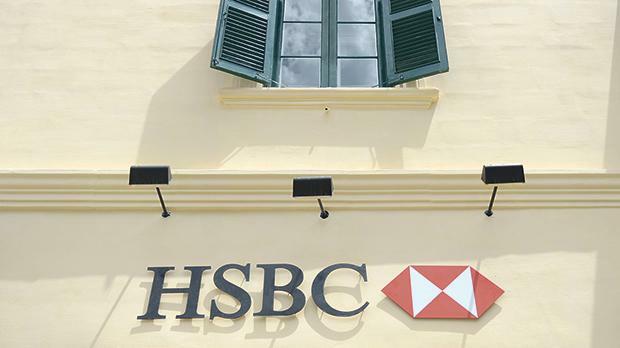 One of the longest running question marks hanging over HSBC Malta for many years has been the subject of whether the bank is exiting from the island. Last week, an article surfaced on Bloomberg which indicated that HSBC Holdings, the parent company of HSBC Malta is mulling a potential exit from the island. The article indicated that a strategic review is being held in June after which a new plan will apparently be announced. HSBC has been through a tough time. The Deferred Prosecution Agreement, a five year ‘probation’ period which the bank was put under by the Department of Justice in the US following its Mexico money laundering scandal, came to a successful end in December 2017. Throughout this five year term HSBC, including its Malta subsidiary, invested substantial resources to overhaul and update its controls and checks. Furthermore, a number of business segments were cut from its product offering. These included trust services, custody, fund services, stockbroking and wealth management, among others. Customers were hauled over the coals, interrogated and asked to hand over substantial documentation evidencing all sorts of background to justify the transactions they were executing. Many left or were pushed away. The result, pre-tax profits fell from €95 million in 2012 to €49.8 million in 2017, in part due to the bank’s focus on its regulatory and compliance obligations rather than business growth. As the new guard of HSBC Holdings settled in to their offices, it was believed that HSBC was now set for a period of growth having been released from the DPA shackles. Is there much credence therefore to the story that HSBC is about to exit its Malta operation? Andrew Beane, HSBC Malta CEO, publicly dismissed the article as speculative. This is probably true and as the head of a publicly quoted company, it is normal for speculative articles to be brushed off in this way. And at this point, it is most likely nothing more than speculation given that the new chairman and CEO of HSBC Holdings have only just begun their tenures. Notwithstanding this, it is also normal for a new head to review the strategic direction of the ship he is now captaining. Part of that review would be to identify those areas that the bank wants to allocate capital to. In a three-day investor and analyst roadshow, which started on April 9 in Hong Kong, the group chairman and CFO began to outline strategic priorities. Asia is the key to HSBC’s global future and this is clear, both in terms of where its current profitability comes from and where it wants its future profits to be generated. Malta remains a mere speck in the grand scheme of HSBC. At 0.3 per cent of its profits, we hardly move the needle. On the positive side, we achieve a higher return on equity than the average in the group, and according to the CEO, are poised to grow this further. The negatives do stack up though, especially from a jurisdiction perspective where we are doing ourselves no favours at all. Mr Beane was clear in his reference here when he called for greater efforts to protect our financial services reputation. We need to understand that global brands do not feel comfortable operating in jurisdictions where standards of operation allow for tarnished reputations. An exit of HSBC from Malta would be calamitous to the financial services in Malta. They are the only international name in the financial services sector that is widely present on the island. To my mind we need to fight tooth and nail to ensure they do not leave. Is an exit likely and if it is, will it happen soon? These matters take time, are complex and difficult to execute, especially in the current banking environment. On another matter, two weeks ago I wrote about BOV’s challenges with regards to the precautionary warrant issued against it. The bank has since clarified that when the chairman referred to “operations and shareholders interest not being affected”, this was done solely in reference to the precautionary warrant and not the outcome of the case. David Curmi is managing director of Curmi and Partners Ltd. The information presented in this commentary is solely provided for informational purposes and is not to be interpreted as investment advice, or to be used or considered as an offer or a solicitation to sell/buy or subscribe for any financial instruments, nor to constitute any advice or recommendation with respect to such financial instruments. Curmi and Partners Ltd. is a member of the Malta Stock Exchange and is licensed by the MFSA to conduct investment services business.